Yesterday as we were getting ready to head out the door, of course I had just finished my makeup and was waiting for her. As she normally does, she looked at me up and down. What she normally doesn't do is compliment me very much. Yesterday though was much different in that she paused and said what did I do to my skin because it was glowing. Of course I thought about being a smart arse and say I always glowed but merely accepted the compliment. The reason my skin looked better was the result of a rather long and drawn out process. I have always said if you want to present more effectively as a transgender woman, you need to put the work into it as any cis woman does, except you have to be be better. To begin with, my skin has benefited greatly from hormone replacement therapy and age. My skin softened a great deal from the HRT and my beard has continued to "gray" due to my age (69). As it tuned out for me, this was only the beginning of skin care for me. Since I still shave, I use a Gillette battery powered multi blade system. Since I am always financially challenged and aware, I use a Barbasol shave cream. It works for me and I can go a whole day easy enough without a five o clock shadow. 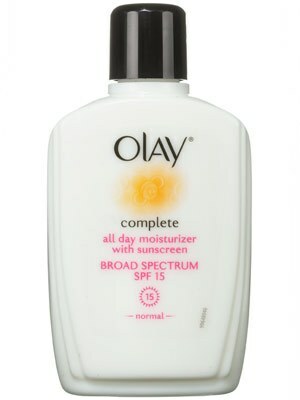 After I shave, anymore I can proceed with a fairly light coating of Cover Girl + Olay "Simply Ageless" foundation. Once again, a foundation I can reasonably buy at our local Walgreens store. I think though my nightly skin regime helps me dramatically too. Every night without fail, I use one or two green tea cleansing cloths I buy from "Big Lots" which is just a slightly upscale dollar discount store. I can buy a pack of thirty for one dollar. After a good cleansing, I finish up with a liberal application of a basic Olay moisturizer called "Olay Complete" It comes in a relatively inexpensive six ounce bottle I buy for about twelve dollars at my local Kroger super grocery/drug store. The moisturizer lasts me for months, so I estimate I spend about five dollars a month on my skin care. If you are still in the closet, these days you can use the excuse of shaving to buy a man's moisturizer.. In addition to feeling good, you can look better too. Of course, you can go to one of the fancy makeup specialty stores if you have the money and are out of the closet. In the meantime though, I hope these ideas will help you along. Apart from HRT I have found one of the best ways of looking after my skin has been to stop wearing make up. These days I only wear makeup on Occasions ~ the sort of do where any woman is expected to glam up a bit, I have found that most women my age don't habitually wear makeup, and now neither do I. It makes life easier and my skin thanks me for it. That plus a daily moisturiser (and sun block in the summer) seems to do it for me. Shaving is a double-edged sword, so to speak. It does dry out the skin, but it also helps to exfoliate. I use an apricot scrub before shaving, as it allows for a closer shave, so I've got the exfoliation thing down. I follow up with a serum that goes deeper into the skin than a moisturizer, but I still use the all-important moisturizer after that. Usually, I will apply a light layer of a pore-reducing cream over the "T-zone." Because of my uneven and rather ruddy complexion, I brush on a foundation of mineral makeup. In order to bring back some color to my face (after having had covered it up with the foundation), I use a mineral blush. Of course, this is all after I've used a good cleanser in the first place. I've spent a good part of my working life out in the elements, and most of it without sun block. I can only wonder how much better my skin might be today had I used it all my life. If all of the sun block properties of those things I put on my face now could be added up, I'd be using an SPF 60. Unfortunately, it doesn't work that way, and I can only expect the benefits of the SPF 30 in my moisturizer. Unless I'm out in the direct sunlight in the summer, that's minimal protection. I've found that I can apply a waterproof* sunscreen over the mineral makeup without making a complete mess of it, but it's not too difficult to brush on just a bit over the top of the sunscreen to even things out again. *Waterproof to a degree, as I hate it when I perspire and the sunscreen drips from my forehead into my eyes.